Unitarian Universalism offers diverse and meaningful ways of connecting spiritually. 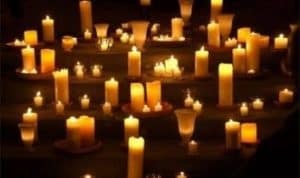 Whether we’re meditating, listening for truth in music or sacred writings, praying to the spirit of life, or chanting in a circle at winter solstice, our spirituality is unbounded. Our stories and practices draw from our six sources of inspiration. MVUUF is a home for people with a diversity of spiritual practices. Through our worship services and programs, we offer people the opportunity to learn more and go deeper. The full vision and values of community are best met through small groups that gather to explore what makes us who we are, as individuals and as a congregation. Our Covenant Group program offers an evolving opportunity for MVUUF members and friends to deepen our understanding of each other and what is important to us. Chalice of the Willow, a local chapter of CUUPS (Covenant of Unitarian Universalist Pagans) and an interest group of the Miami Valley Unitarian Universalist Fellowship (MVUUF), is a gathering group for pagans, earth centered spiritualists, and any other interested member of the community. We will work to accomplish this by creating a safe and nurturing community to network, celebrate, learn, and grow together on our diverse paths. We have come together because of our reverence for Nature and our instinct for celebration, and our longing for a community which shares these things. We recognize kindred hearts and shared purposes. Want to check us out? We welcome all. All Chalice of the Willow events are open to the community. You do not have to be a Pagan to come. 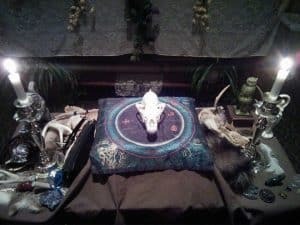 We have members who are Pagan, interested in Paganism or Earth-based spirituality, enjoy the rituals, or come to share time with the community. Community time & potluck follows ritual, please bring a dish to share. Quiet your mind with weekly group meditation followed by time for reflection and discussion at 9:30 a.m. every Sunday.